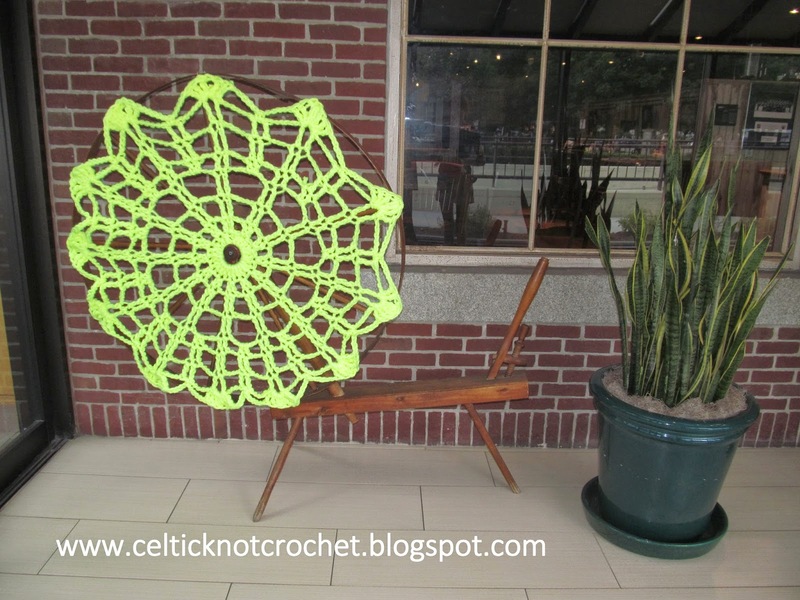 Celtic Knot Crochet: Indoor Photos of the K & C Show Yarn Bomb! 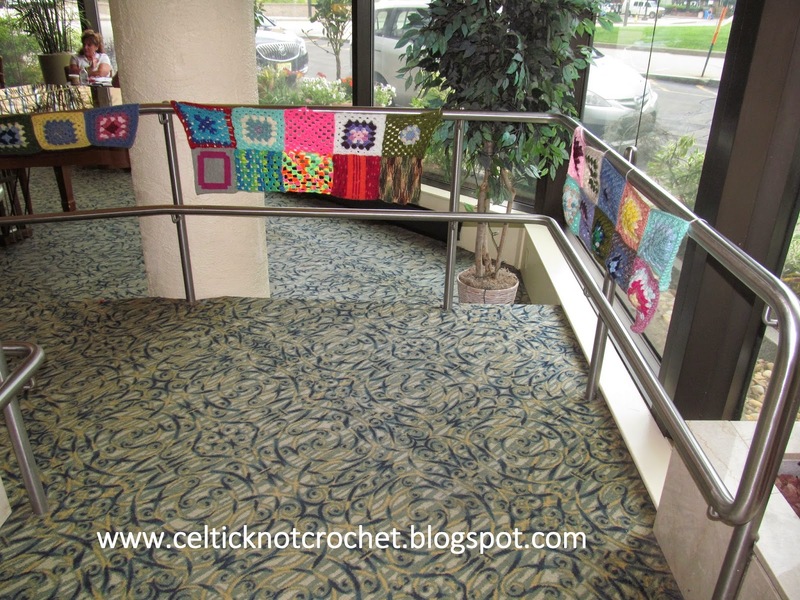 Indoor Photos of the K & C Show Yarn Bomb! 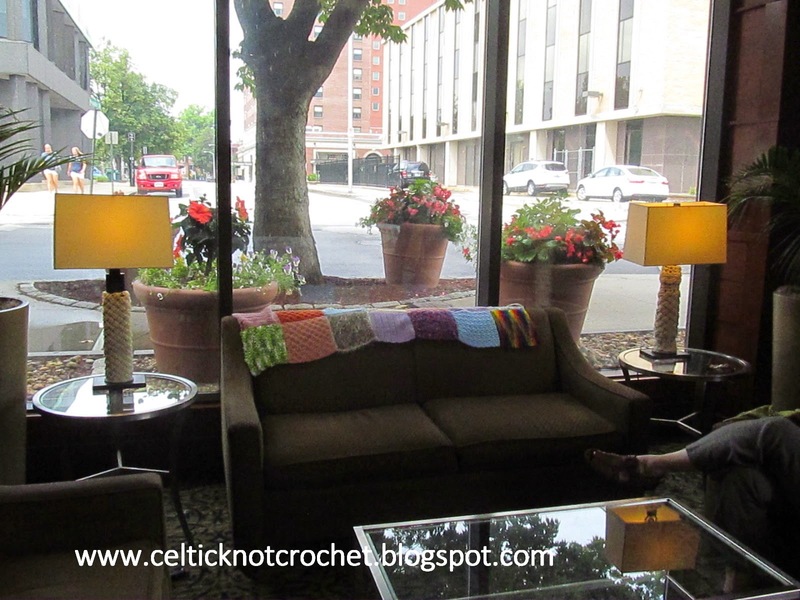 Yarn bombs are traditionally done outdoors but when I met with the hotel management back in February, I saw the Center of NH (Radisson Hotel) in a new light - its indoor gardens, lounge and railings were a perfect blank canvas for colorful yarn art! 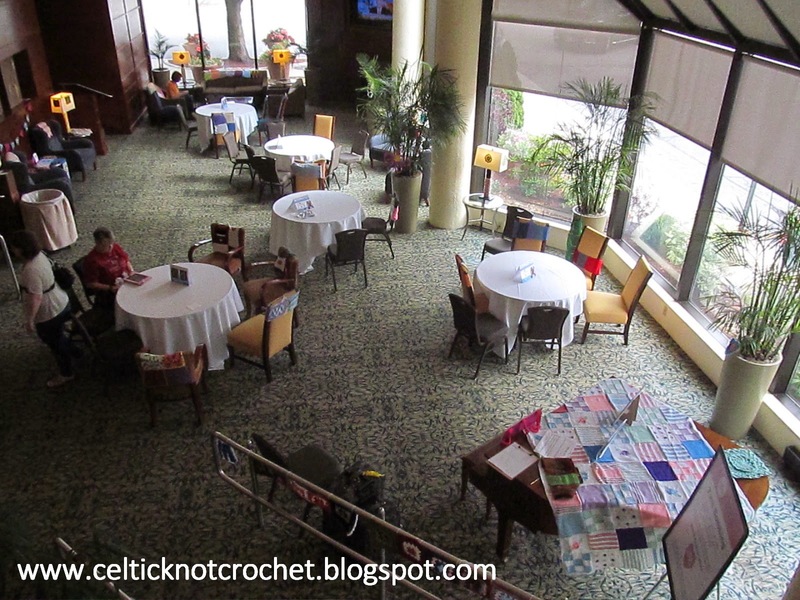 So, on the day before the conference started, my family and I and Pat decorated the inside of the hotel lobby with beautiful squares from around the country and art pieces we made. The front desk was completed first so everyone would see this upon checking in. and perfect for working on your latest project while meeting new people. We covered every chair and lamp! 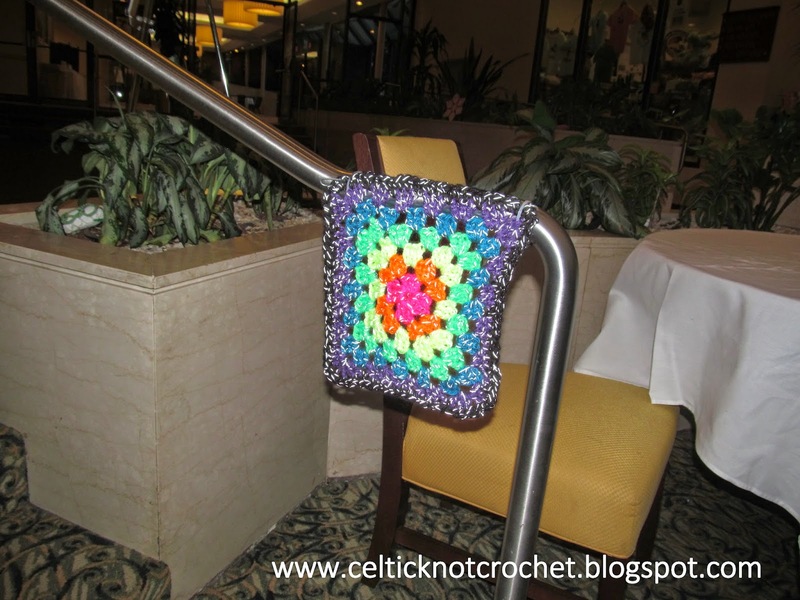 One of the knitters in the Concord, NH area donated this full blanket to the project! 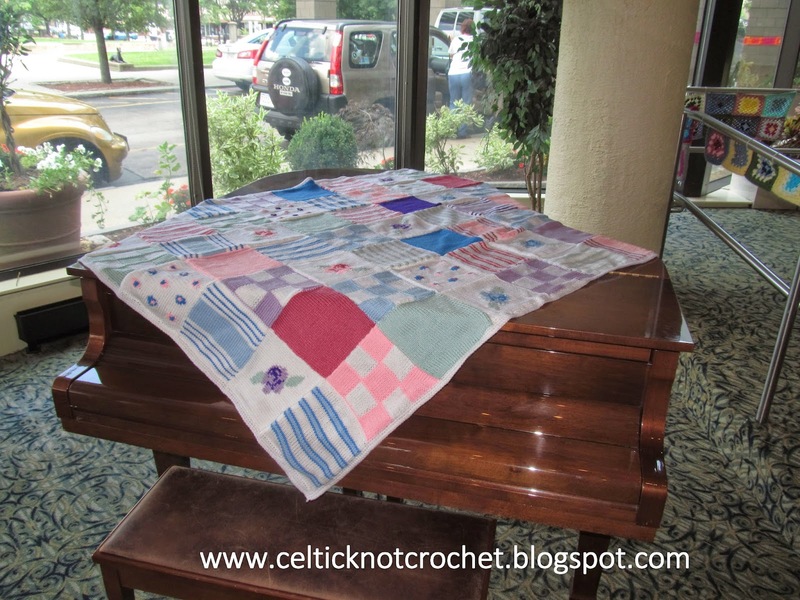 It looked great over the baby grand piano and will be donated to a local charity in the fall. 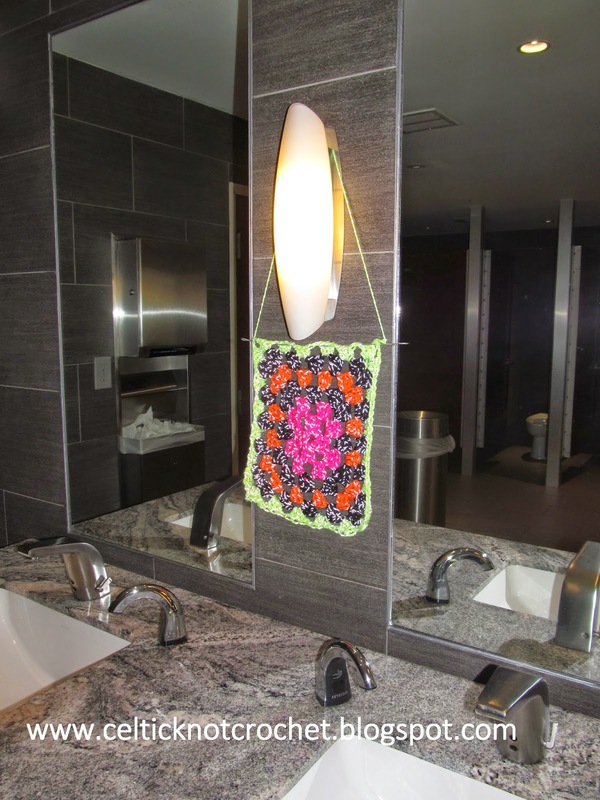 Anna Morgan of the NYC Crochet Guild made over 100 squares for our yarn bomb! She helped out a lot by also sewing them together in sets of 5 - I enjoyed seeing her arrive and recognize her squares. 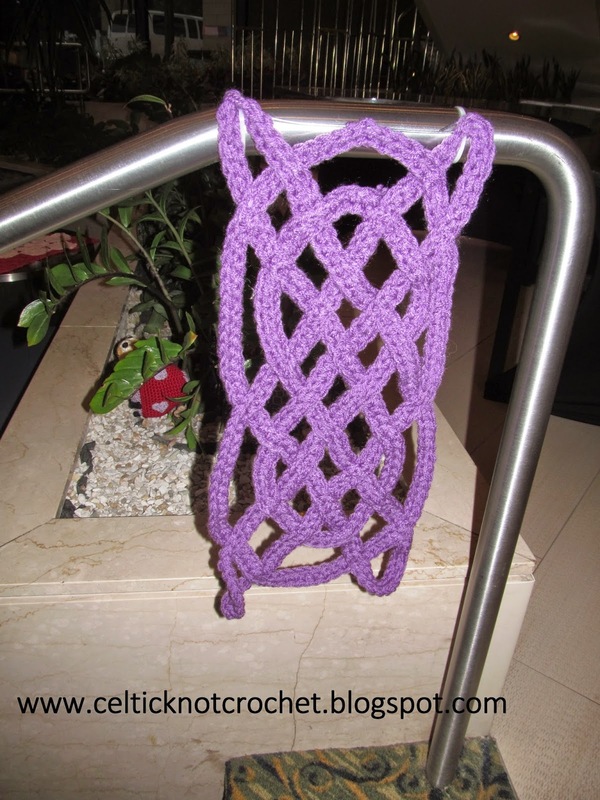 The railings turned out to be a great place to hang special squares. This one was crocheted by one of my daughters (age 9) out of Red Heart's reflective yarn. We love how it comes to life with the flash! 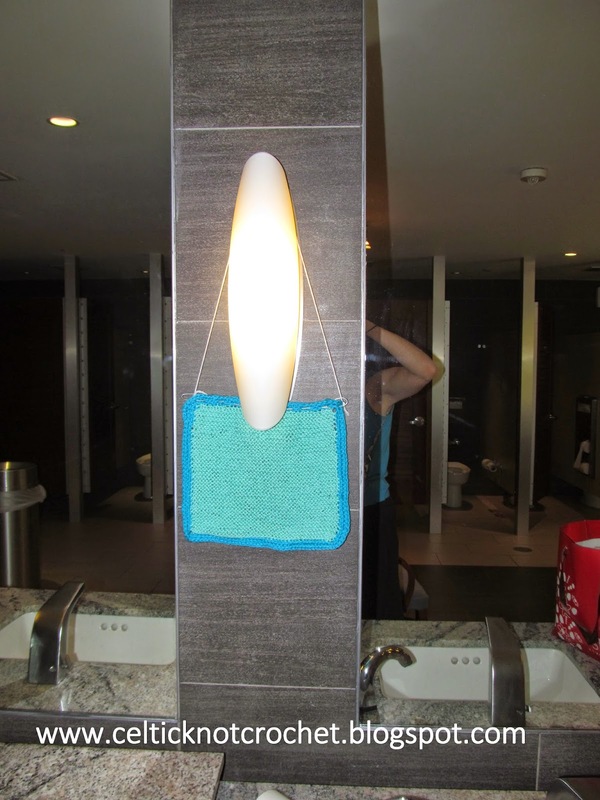 And, of course, we couldn't leave the bathroom bare . . . . This reflective square was made by my oldest daughter (age 12). And this square was knitted by my grandmother, who is 91 and still crafting! She has passed on a wealth of creative genes and inspiration to our family. Since Manchester was once a milling town with large factories (powered by the Merrimack River) that produced cotton and fabric, there are some antique spinning wheels in the Millyard museum and here in the lobby of the hotel. Its large circle was a perfect place for a giant doily - I used Red Heart's Vivid yarn (which is super chunky) and a simple doily pattern from Lacy Crochet. 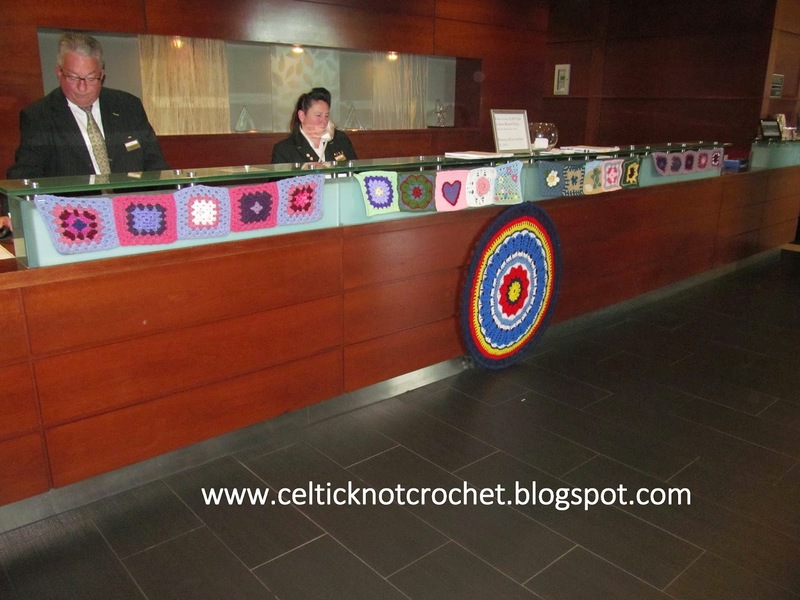 More photos of the Yarn Bomb pieces in the hotel indoor gardens to come!